Yesterday I mentioned Nike’s track in the woods when I posted Spain’s wooded track. As it turns out, Nike is not the only sportswear company with their own track. 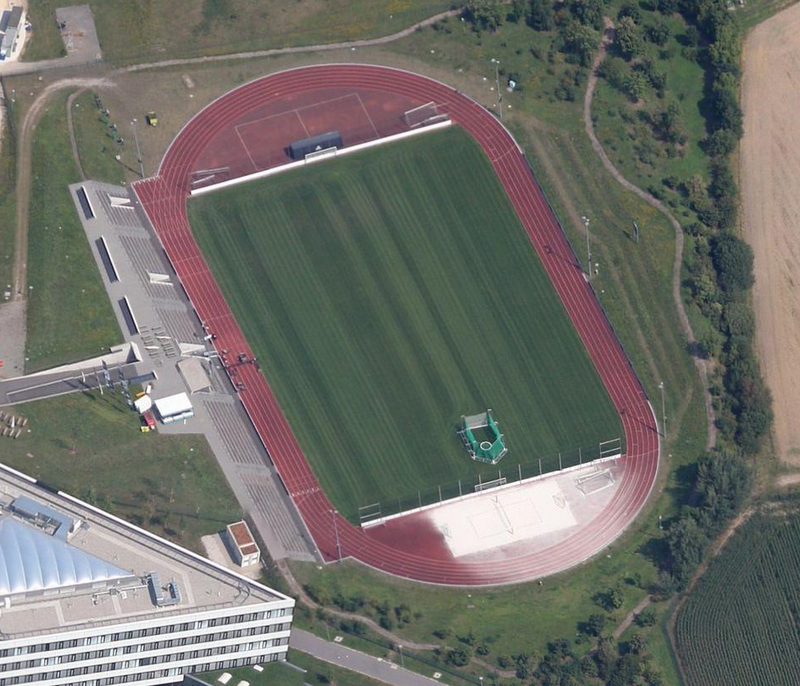 Located in Herzogenaurach, Germany, Adidas also has a track at their corporate headquarters, and this one looks like it could hosts competitions. 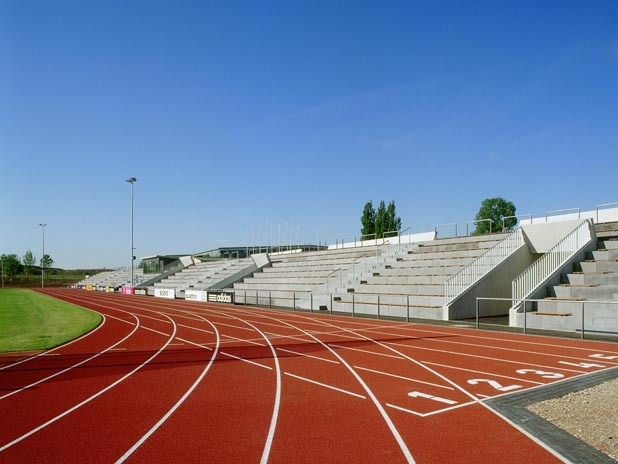 The Adi Dassler Sportplatz opened in 2005, and the track has six full lanes. Starting lines around the track are clearly marked, and I think relay exchange zones are as well. It doesn’t look like much for field events though. They do play host to some soccer matches here however. The top-loading bleachers can hold 2,100 spectators. You’ll notice the sand all over the track on the south curve. I think they may be questioning their decision to put the sand volleyball court in that end, rather than outside the track somewhere.